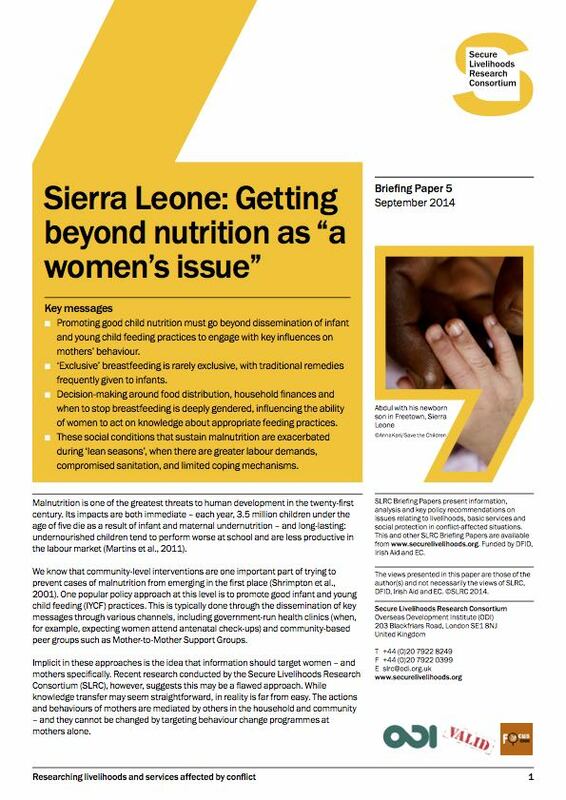 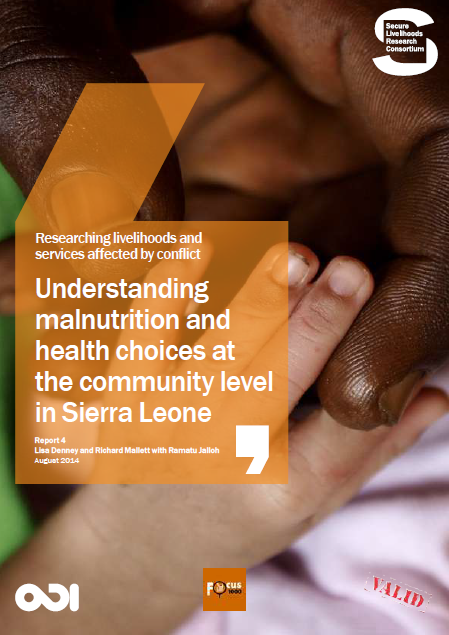 The SLRC Sierra Leone country research programme began in April 2013 and initially focused on state capacity to address the country’s high malnutrition rates. 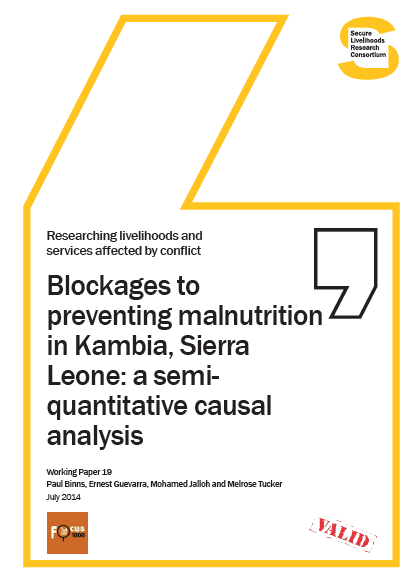 The research sought to understand why and how, despite multiple and ongoing efforts at prevention, malnutrition rates in Sierra Leone remain so high. 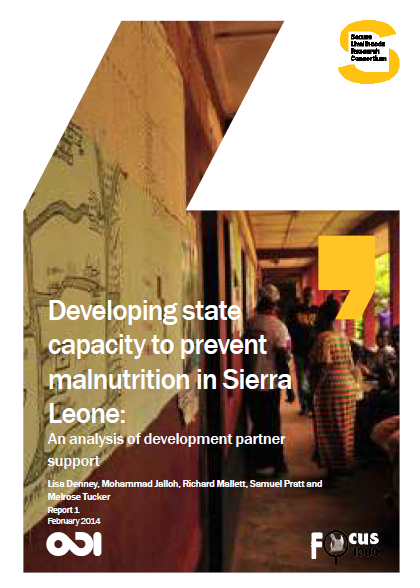 Taking as its starting point Irish Aid-supported partnerships with the Ministry of Health and Sanitation (MoHS) to build capacity to prevent malnutrition in Sierra Leone at the national, district and community level, the programme aimed to generate useful and relevant findings which would contribute towards evidence-informed policy making around this important issue. 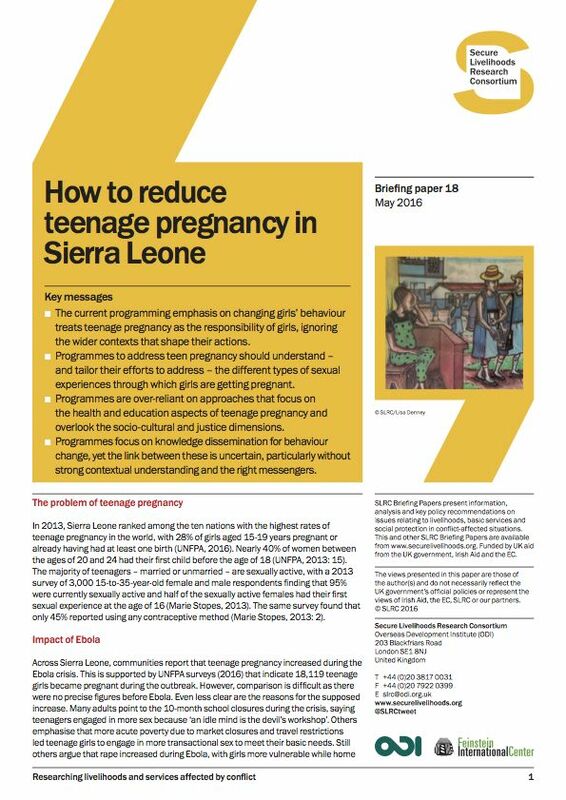 Improving efforts to reduce teenage pregnancy. 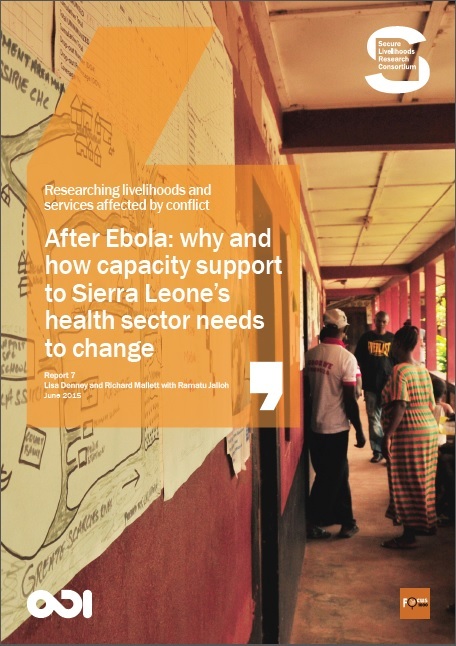 This evolution in research focus occurred largely in response to the emergence of the Ebola epidemic in 2014. 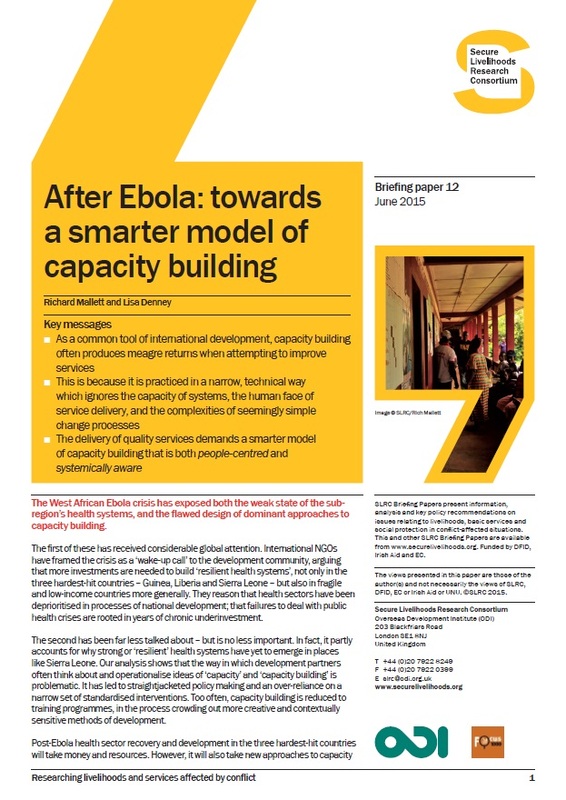 This led to an expansion of the initial malnutrition research to look at how health sector support more broadly could be improved in the wake of Ebola. 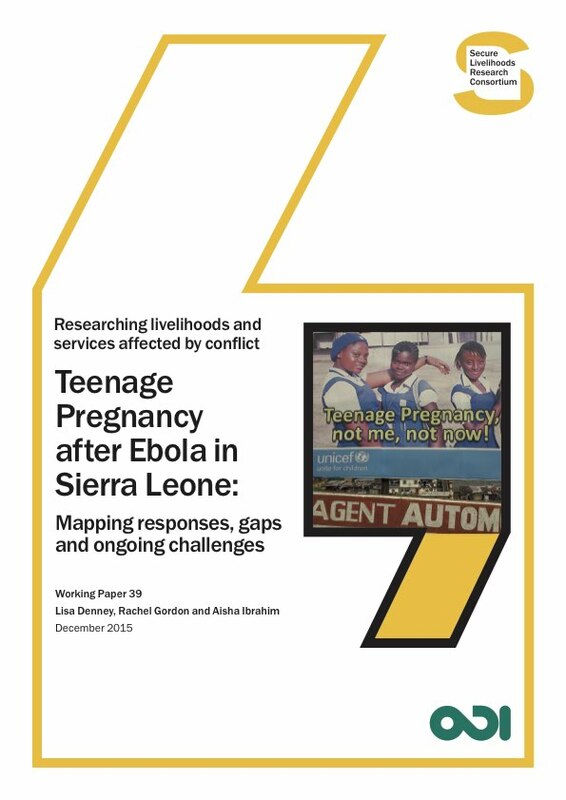 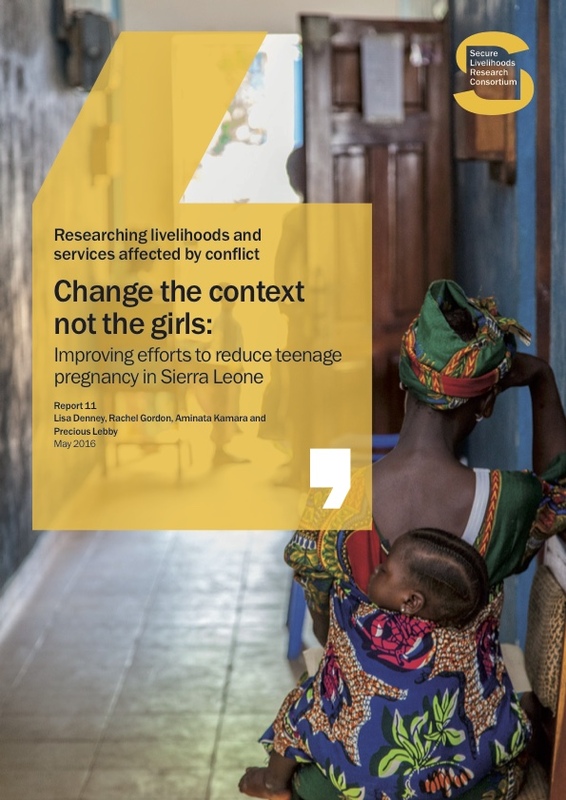 Following this, in 2015-16, the research shifted again to understand and better respond to the increase in teenage pregnancy that occurred during the epidemic. 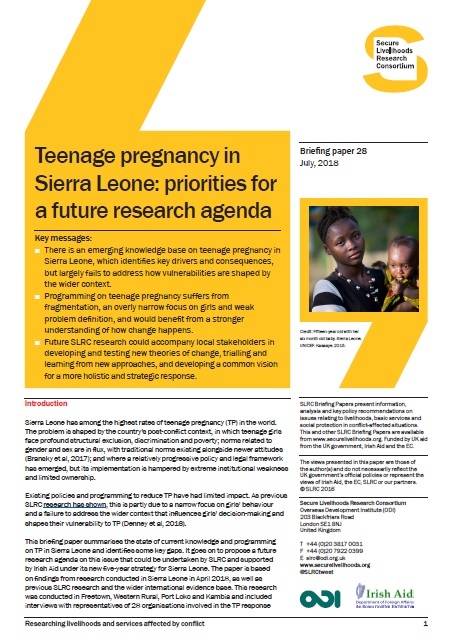 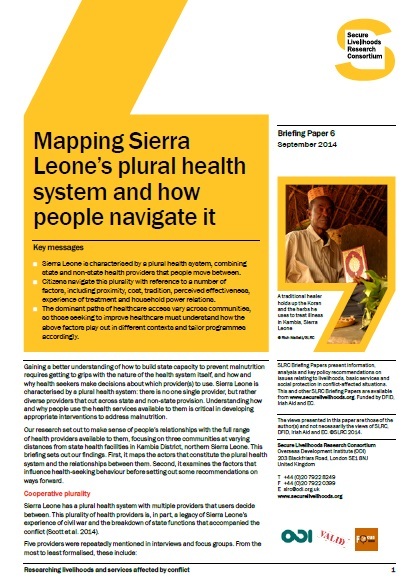 SLRC’s research programme in Sierra Leone was led by Lisa Denney, Research Fellow at ODI and our The malnutrition research was conducted by ODI researcher Lisa Denney and SLRC researcher, Richard Mallett, and our Sierra Leone partnerss,include Focus1000 and Fourah Bay College.